Thank you for your interest in becoming a Reseller for PECB. 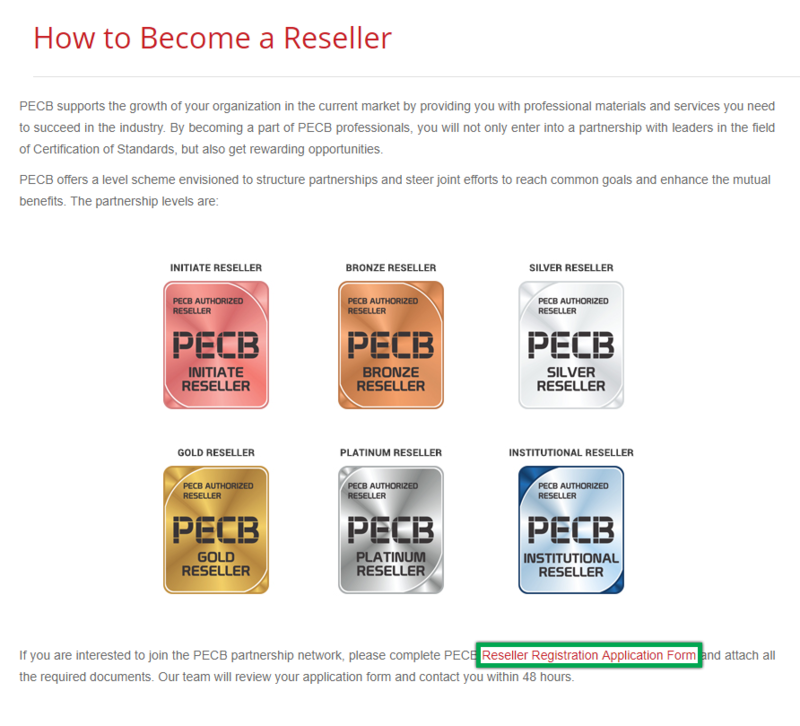 The application for becoming a PECB Reseller can be started through the PECB website. The link can be found under the Network option on the main menu of the website. 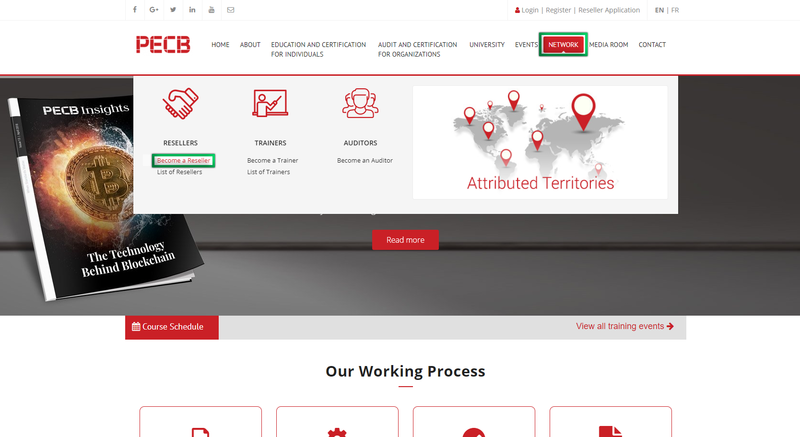 When clicking the link “Become a Reseller”, you will be redirected to “How to Become a Reseller”, where you will be provided with details on the PECB Reseller level schemes and also the Reseller Application Form. 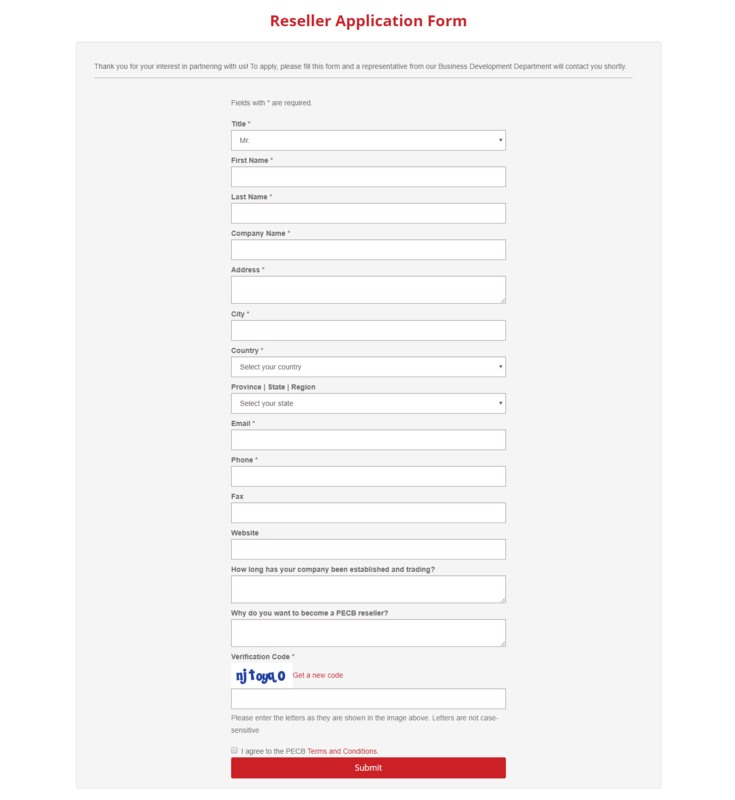 When opening the “Reseller Application Form” you will be required to provide the information as shown in the image below.